Allen M. Stegman is General Director Remediation and Environmental Programs for BNSF Railway and has 25 years of experience in the Environmental, Health and Safety field. 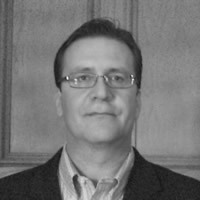 Allen was last year's Forum Chair and is a frequent speaker at various conferences including Battelle, AHC and NAEM. At BNSF, one of the largest transportation providers in the United States as well as one of the largest landowners, his core responsibilities include remediation and environmental liability management, emergency response, data/document management, acquisitions, divestitures, metrics and project controls. Prior to joining BNSF, Allen was the Director of Safety and Environmental Affairs for a global chemical company and has a Bachelor's Degree in Chemical Engineering with an option in Biochemical Engineering from the University of Missouri.